The biggest distinction you will come across in categorizing huntable land is public land versus private land. While I will address both, I must disclose that public land hunting is what I do and what I know best. Public land means that the land is owned by federal, state, county, or local governments and is open for everyone to access, often for free. The unfortunate part for hunters and other recreation seekers is that these lands are managed by a number of different departments and bureaus that are further divided by state, region, or district. There is no one centralized source to research all of them at once. In fact, if you don’t know what type of land to search for, you may miss out on some very good local opportunities. 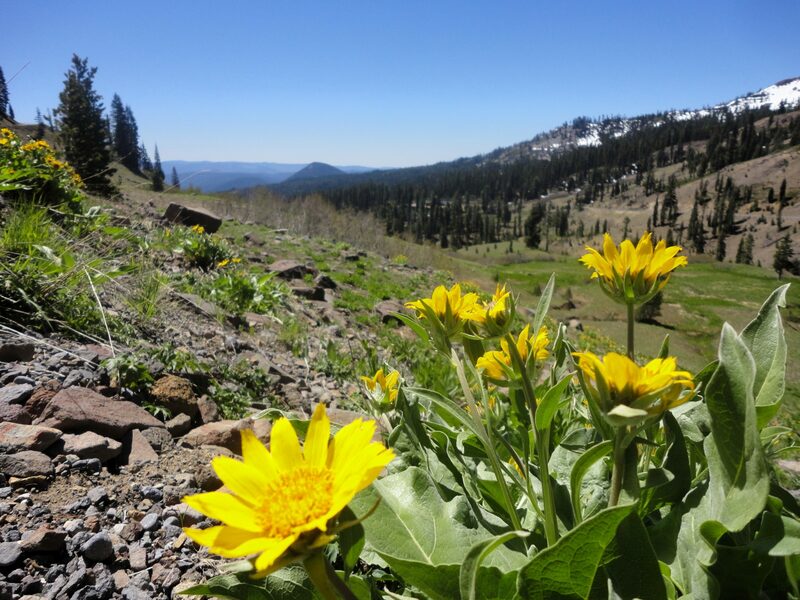 Early summer in Lassen National Park. No hunting allowed here. National Parks, National Forest, Wildlife Refuges, BLM Land, Designated Wilderness… there’s quite an array of options for federal land users. Here I’ll explain what these different designations mean. Perhaps the most well known type of federal public land is National Parks. Operated by the National Park Service, which is in the Department of the Interior, National Parks are unfortunately not hunter-friendly. In fact, National Parks have some of the most stringent general regulations of all public land. I began to find out just how restrictive they could be when I was planning a California road trip a couple years ago. I already knew that off road vehicle travel is usually completely prohibited in National Parks, but I was somewhat surprised to find out that backcountry camping may be limited to designated sites only and you could need permits (which may be limited in number) to go certain places or do certain activities. And for those with pets, beware. All the National Parks that I’ve come across do not allow dogs on hiking trails. 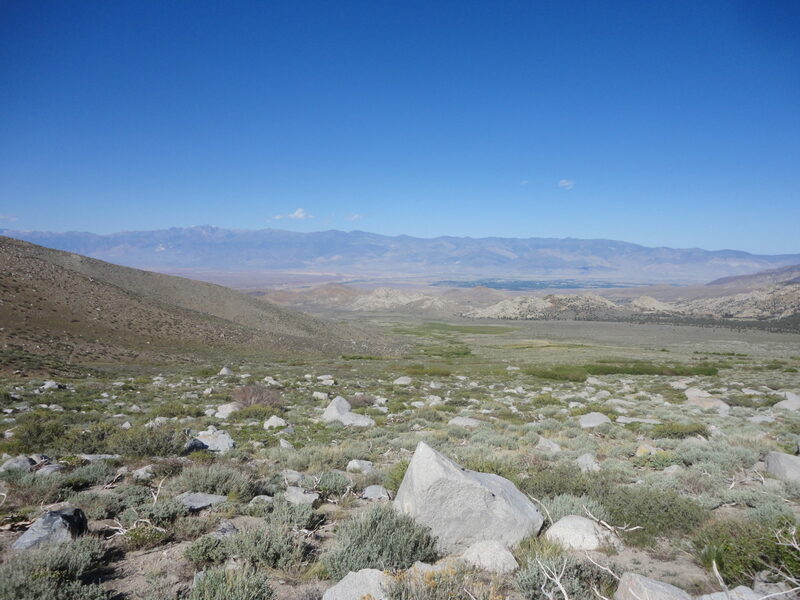 The Inyo National Forest demonstrates that not all “forests” have trees. Next on the list is National Forest land. National Forests are operated by the Forest Service which is under the Department of Agriculture. I recently learned that National Grasslands also fall under the Forest Service umbrella. National Forests and Grasslands do seem to be quite hunter friendly. There are a few benefits to hunting National Forest land, too. For one, there tends to be a decent web of forest roads that provide access to “deeper” backcountry for those with 4×4/high clearance vehicles. 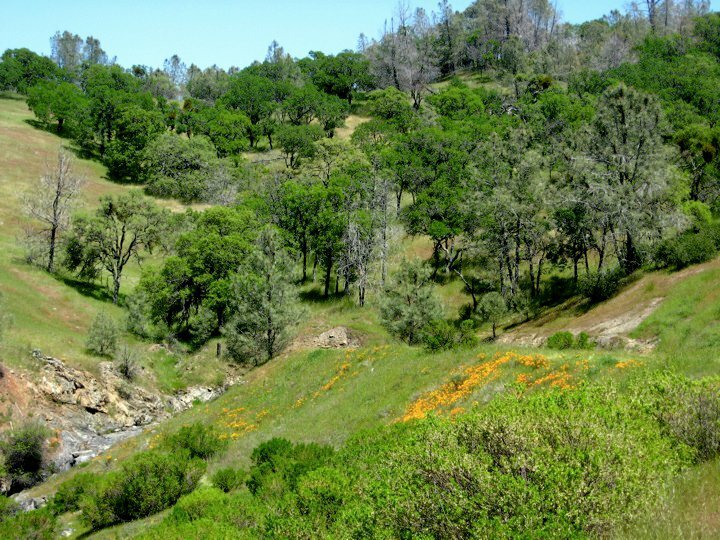 In addition, National Forests and Grasslands do have some regulations that protect them from degradation (though grazing is allowed), so the land tends to be in good shape. Backcountry camping is often relatively unregulated as well, so I can pitch camp wherever seems most suitable for pursuing the game I’m after, away from other hikers or campers. 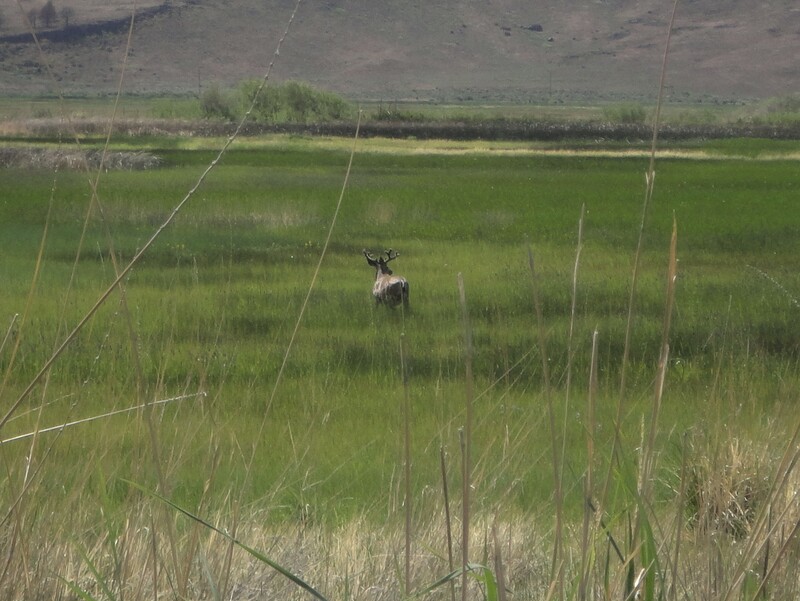 A lovely mule deer buck enjoys the marsh at the Malheur National Wildlife Refuge in Eastern Oregon. No deer hunting allowed in Malheur, but upland bird and waterfowl hunting opportunities abound. When I first heard about National Wildlife Refuges, the name itself made me immediately think that hunting would be prohibited there. The word refuge does mean “a condition of being safe or sheltered from pursuit, danger, or trouble” after all. Well, readers, do not be deceived! You can hunt in National Wildlife Refuges. They are managed by the Fish and Wildlife Service and they seem to be great places to hunt, fish, and trap. And there is at least one in each of the 50 U.S. states, so certainly check to see if one might be close to where you live. National Wildlife Refuges, more so than the above three designations, seem to have good opportunities for waterfowl hunting due to the inclusion of marsh land. Wild horses like BLM land, too. 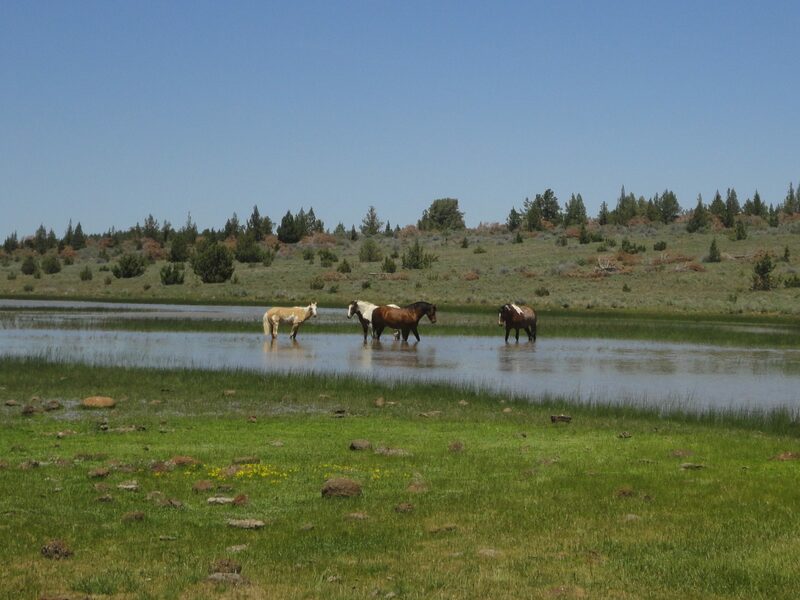 We saw these guys in the Steens Mountain area in Eastern Oregon. Ah, the BLM. Short for Bureau of Land Management, this may be a relatively foreign concept for those in the Eastern half of the country. Before I moved out west I had not the slightest clue what BLM might stand for. The BLM, which is also in the Department of the Interior, has absolutely no presence in my home state of Massachusetts, or any other state east of Colorado. A defining feature of BLM land is that it’s very multi-use and relatively low regulation. On BLM land you can often hunt, target shoot, backcountry camp, and drive off-highway vehicles in remote stretches of western country. The BLM affords recreation seekers the most freedom of any public lands, and I love it for that reason. To be fair there are some potential downsides to less regulated use: BLM manages mining, mineral extraction, grazing, and energy production on their land, so it is less “pristine” than a National Wildlife Refuge or a National Park. This should not deter you, though. In my experience, BLM land can be absolutely gorgeous and quite untouched by human activity. If you live in the West, make researching BLM land a top priority in your hunt scouting. Vehicular travel is prohibited in designated wilderness areas. The last type of public land I will discuss is Designated Wilderness. A wilderness designation affords the highest level of protection to wild lands in the U.S. In a wilderness area you won’t find any roads, permanent structures, or development of any kind. Vehicles are barred from wilderness entirely, usually including mountain bikes or other “mechanized transport”. When it comes to being pristine and remote, wilderness areas take the cake. And boy are they lovely. I love hunting wilderness areas, primarily for the solitude they provide. You’ll see fewer people in a wilderness area due to the transport restrictions. You will, however, need some backpacking gear if you hope to reach deep wilderness. And there is one slightly confusing aspect for hunters: wilderness areas are not operated and managed by just one agency. Some are under the jurisdiction of the National Park Service, others the the BLM, still others the Forest Service. Oh yeah, and the Fish and Wildlife Service gets in on it too. Based on what I’ve read, it seems that hunting regulations in wilderness areas fall in line with the managing agency. The vast majority are managed by the Forest Service, Fish and Wildlife Service, and BLM, so most are huntable. Don’t forget about state parks! 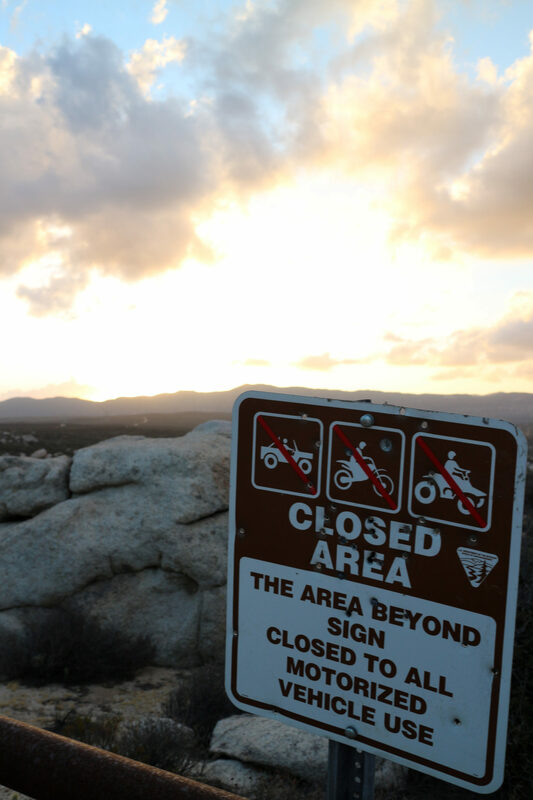 There are very many state parks in the U.S., and as you might imagine, the rules about what you can and can’t do there may vary a lot from park to park and state to state. Being the case, it’s hard for me to present some unified picture of what a state park is like because there isn’t one. Anyway, for state parks your best bet will be to navigate over to your state’s website. These sites should list which parks in your state provide hunting opportunities. If you’re not sure what site that would be, this Find A Park tool should be helpful. 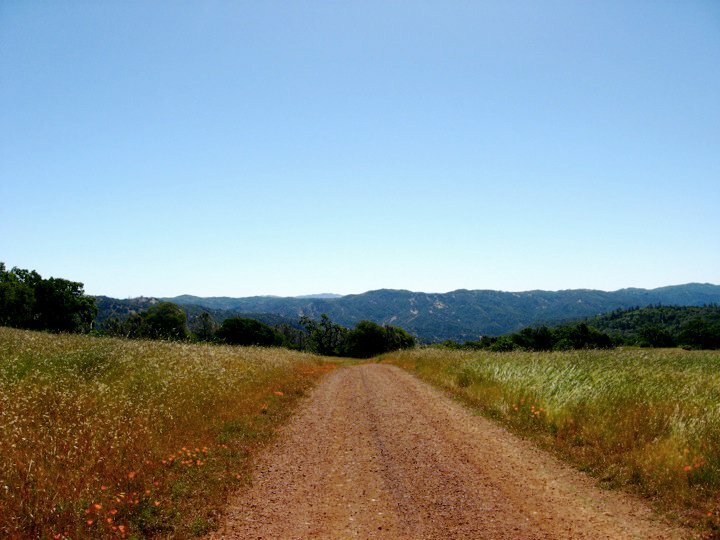 Henry Coe State Park, where my love of backpacking was born. In the U.S. we are fortunate to have a vast array of public lands. The unfortunate part is that these lands are not equitably distributed across the country. Just look at the comparison between a state like Nevada and a state like Iowa. In Nevada, 81% of the state’s total area is public land. With the vast majority of that land being BLM, public hunting opportunities are everywhere. Only Alaska outscores Nevada in the percentage of area being publically owned. By contrast, in Iowa, only 1% of the state’s total land area is public. It’s easy to imagine why private land hunting is and will remain woven into the fabric of American hunting culture. So if you live in an area where public opportunities are scarce, what can you do? First, if you have a friend or family member that owns a tract of land that they’ll let you hunt, you should thank them profusely, treat their land with utmost respect, and enjoy this great opportunity. Or if you yourself own some land with wildlife on it, that’s all the better (can I come over sometime?). 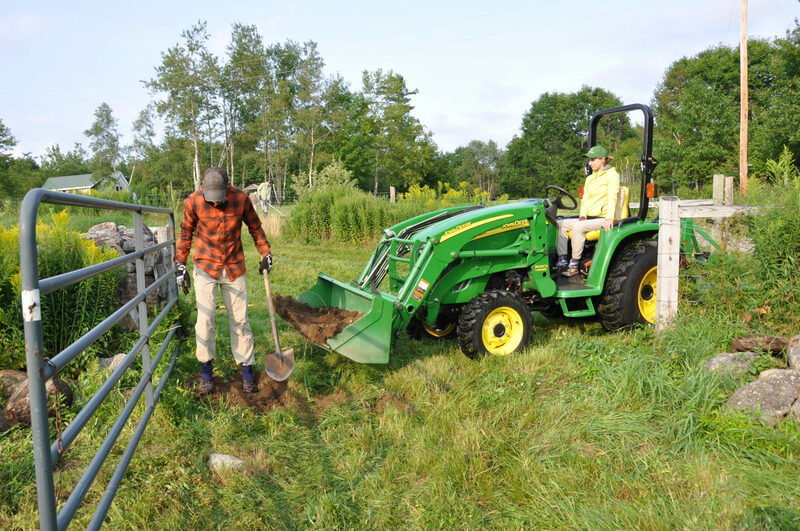 Nick moves rocks and fills in holes while I man the tractor. We’ll happily trade farm work for hunting rights. Unfortunately this lovely property is clear on the other side of the country from where we live. But even if you don’t have any farmers, ranchers, or homesteaders in your social network, private land could still be a part of your hunting experience. One option is to kindly ask a landowner for permission. I’ve never done this myself but there are a slew of articles out there on the “right” and “wrong” ways to go about it. I read a few interesting perspectives here, here, and here that I’ll pass along. Another option is to pay to access a private ranch. I’m not talking about canned hunts where animals are bred and kept in captivity to be hunted without an ounce of fair chase. I’m referring to ranches where wild animals happen to live and the owners use a hunting program as a part of that ranch’s land management plan. But the truth is that private hunting grounds can fall anywhere on the spectrum between fully captive animals and 100% free ranging, unconstrained wild animals. There is an ethical gray area that is up to you to navigate. I’ll point you toward these articles that discuss fair chase ethics and the trophy hunting forces behind high-fence hunts as food for thought. In conclusion, where can I go hunting is not an easy question to answer. With so many independently managed lands at the federal and state level, and a vast network of private farms and ranches in between, doing a fully comprehensive search of your state or local region can be a bit of a nightmare. Unless you go through a guide or outfitter operation, you are going to have to put in time doing your own research (and even if you do use a guide or outfitter would highly recommend researching them first too). The purpose of this post was to provide an introduction to the primary types of land you should be on the look out for, along with helpful links to point you in the right direction. While I haven’t covered every type of land you will ever encounter in the U.S., I’ve tried to hit upon the biggest and the best. For public land hunting, National Forests, National Wildlife Refuges, and BLM land should provide reliable hunting opportunities. Check state parks for your individual state (unless you live in California, then you can just give up on state parks entirely). And if the situation calls for it, try to make genuine connections with private landowners in your community. And after all that, there is still so much more to say. Once you compile your list of local hunting options, how do you choose between them? Or even if you have narrowed it down to one forest or one refuge, where exactly in that land should you focus your attention? This question can present an even greater conundrum if the desired hunting spot is far from home — somewhere that would be impossible for you to visit prior to your big trip. I will address all of these question in a follow up article. Think of it as “Where Can I Go Hunting” Part 2. I’ll walk you through the ins and outs of e-scouting and trip planning. We’ll talk about maps, internet resources, apps, and good old fashioned telephone calls. Keep an eye out for it in the coming weeks. EDIT: Followup article can be found here — E-Scouting Tools for Hunters. Public land opportunities are part of what make the West special. Here is a quick shot of my son and I calling in a gobbler our first day of Turkey Season…out on public land we had scouted! What do you know about hunting wild animals in The United States – When guns are outlawed only outlaws will have guns!